This church was completed in 1892; for the three years prior, the congregation had met in the Grange (Alexander Hamilton's old house), which St. Luke's had acquired and moved from its original location to a site just north (to the left) of the current church building. 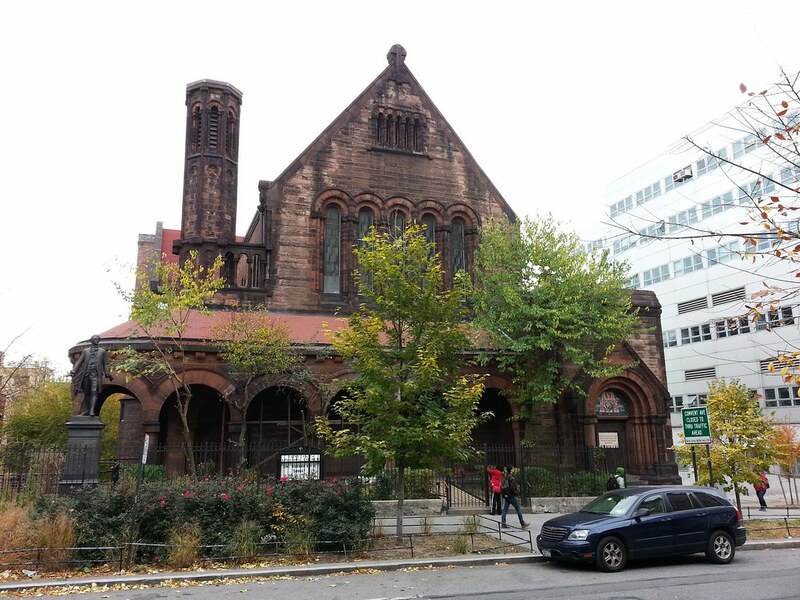 We recently learned that the Grange was moved again in 2008, from its cramped location beside the church to a more suitable spot in St. Nicholas Park. The statue of Hamilton at left (more info), which was moved here from the Hamilton Club in Brooklyn in 1936 when the club folded, now serves as a reminder of where the Grange once stood.